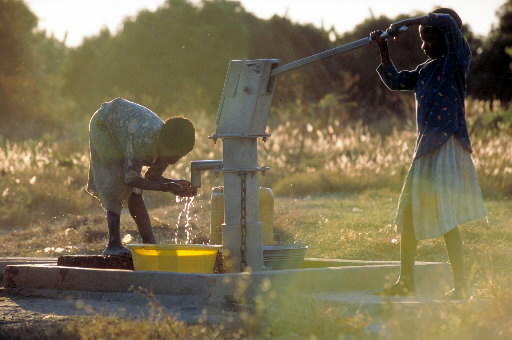 Zambian children at a water pump. Photo from the Desert Research Institute. More than 700 million people around the world do not have access to safe drinking water. One scientist at Nevada’s Desert Research Institute, or DRI, wants to bring that number down because of his own personal experience growing up in Ghana. 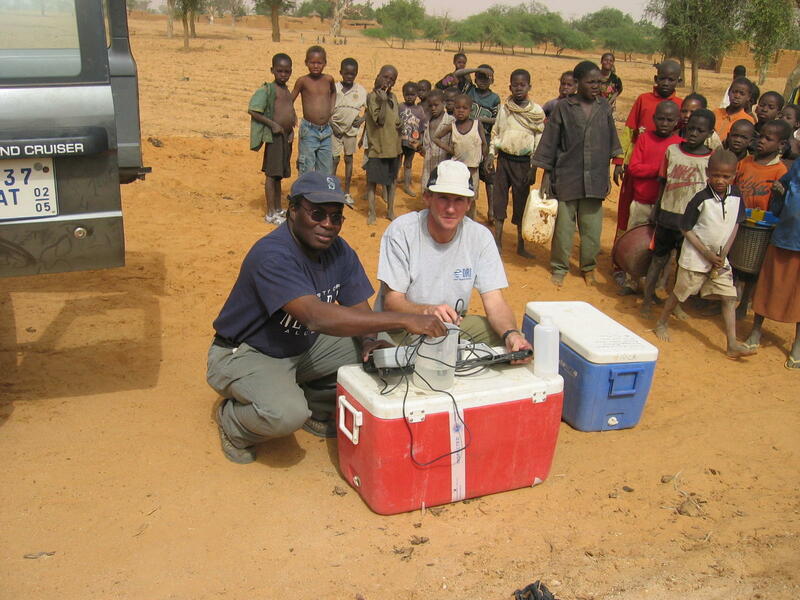 Reno Public Radio’s Anh Gray talks with Dr. Braimah Apambire to learn more about the organization's new global water initiative. Growing up in Ghana, Apambire knows firsthand the challenges of living with water scarcity. “As a young boy, I walked several miles during the dry season with my mother and aunts and sisters to fetch water,” Apambire says. Apambire explains how as a teenager, a newly-drilled well located near his home changed the course of his life and the lives of other family members. But, Apambire says the DRI’s sustainable water initiative focuses on more than just installing wells and water pumps. The program also provides long-term solutions, which include the training and education of local people in developing countries. “We are also very intentional about training people who can follow-up or repair the maintenance of the water systems," Apambire says. "They’re also taught about the managerial and financial aspects of water, keeping water systems flowing." He says involving women is essential to ensure the water project’s effectiveness and sustainability, since women and girls “bear the brunt” of responsibility for providing food, water and childcare in developing countries. He talks about water borne illnesses caused by parasites, such as guinea worms which are found in stagnant waters in Ghana and other parts of the world. Scientists have worked to eradicate them and in early 2015, Ghana was certified by the World Health Organization as free of guinea worm disease. Although this is an example of progress, Apambire discusses the challenges that remain in providing access to clean water around the world and how the initiative plans to overcome them. Dr. Braimah Apambire (left). Photo from the Desert Research Institute.